Last night, Harley-Davidson launched the next version of their No Cages campaign during the season premiere of Sons of Anarchy (SOA) on FX. The advertising spot, called “Liberation“, adds to the limited portfolio of creative developed as part of the motor companies crowd sourcing strategy, introduced last year. Like previous No Cages creative, crowd-sourcing partner Victors & Spoils shared the Harley-Davidson creative brief broadly online, and the best idea was further developed and the creator rewarded. In the Liberation case, the idea came from 30-year-old film maker and visual content creator Benjamin Swan of Sioux Falls, SD, who believes that collaboration breeds creation. And speaking of Sons of Anarchy and last night’s premier for the 4th season. Below are eight video clips from the new season that you might want to check out whether you tuned-in last night or not. SOA is back for an all new season HERE. Watch an exclusive scene from the all new season of Sons of Anarchy HERE. Check out the bikes from Sons of Anarchy HERE. 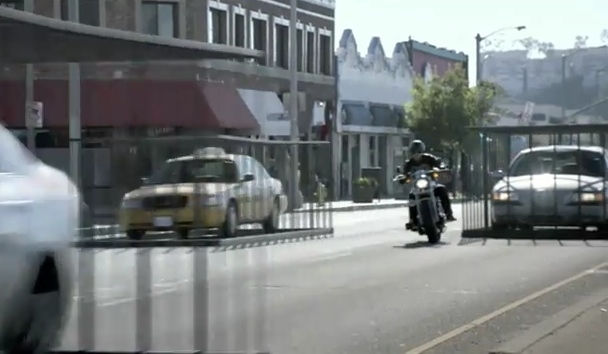 Go behind the scenes of SOA and get an inside look into the show’s set and production design HERE. The bruises of SOA tell a story. Go behind the scenes and see how the show creates the gruesome makeup effects HERE. Go behind the scenes of the biker style of SOA HERE. Go behind the scenes and find out why “Jax” cut his hair for season 4 HERE. Take an inside look into what the cast does in between seasons HERE. Photos courtesy of H-D Facebook and FX/SOA. 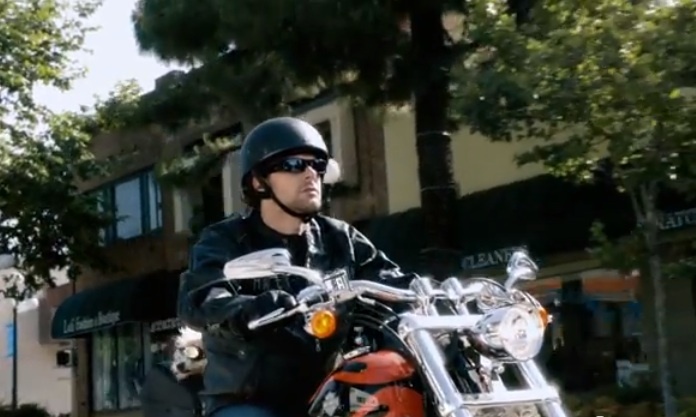 The first work from Harley-Davidson’s new ‘hookup’ with Boulder, CO.-based crowdsourcing agency Victor & Spoils has debuted on YouTube. The consumer-created spot was born of a new agency model that H-D adopted after parting with longtime agency Carmichael Lynch last year. Congrats and a shout out to Whit Hiler, the Kentuckian who’d submitted the “No Cages” original idea that is also part of Harley’s HD1 factory customization program in which buyers can design their own rides. It’s an old and improved formula, but it doesn’t make me want to part with my cash! Maybe you will? It doesn’t have that viral feel where people are watching the video and then instantly going to Twitter and Facebook, to start a dialogue. We live in an “American Idol” and “Dancing with the Stars” culture, where speed to stardom and availability of technology makes about anyone a creative director. And this video has a get it done fast, good enough is good enough look. In the internet world, where everything happens now, this is anathema. Everything’s here today, gone tomorrow. Like a lot of advertising these days, the big idea is lost and the execution is vanilla. I would have thought that V&S’s multiple years of experience would have vetted out the creative gold-nuggets from the train-wreck incarnate. This creative spot wreaks of ratings/hits, not quality and has a race to the bottom mentality. Mr. Richer, isn’t this how Pontiac died?! Is it time for a mea culpa? When you contrast how the big middle finger of rebellion helped build this brand and now advertising which has been replaced with me-too imitation… It’s got to be about the long haul. Not overnight success, but enduring success. Forget about genres. Just be good. 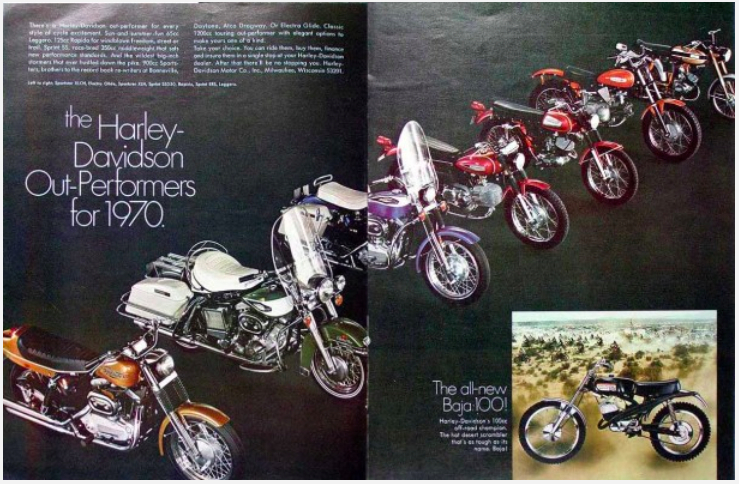 I’m still a fan of H-D, but not for this ad.